In a relief to mother of an unfortunate victim of medical negligence who continues to live in the vegetative state for about ten years, the Supreme Court enhanced the compensation awarded by the National Consumer Disputes Redressal Forum by Rupees Seven Lakhs. In December 2008, a procedure of surgical circumcision was performed on the son of Shilaben Rana, who was then 2.5-year-old suffering from penile phimosis. Soon after it was over, the child developed respiratory distress and got reduced to a vegetative state, from which he has not recovered yet. The NCDRC had enhanced the compensation to Rs.10, 00,000 together with interest @ 6% per annum. 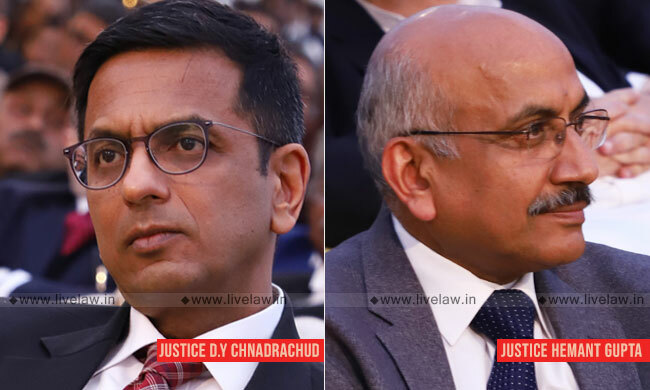 Before the bench comprising of Justice Dhananjaya Y Chandrachud and Justice Hemant Gupta, it was submitted that the amount awarded by the NCDRC, is inadequate to meet the requirement of nursing care. The court was apprised of the tragic conditions of the surviving child. The court noted that the affidavit filed by the surgeon is a clear admission of the fact that the child has suffered severe mental retardation and brain hypoxic-ischaemic encephalopathy. The court also observed that failure to take adequate precautions establishes a clear case of medical negligence. The tragic condition of the child and of the parents, who have to look after him, needs redressal by this Court, said the bench. The court also observed that cases involving disability are in many respects even more tragic than cases of death, particularly where the disability is of a nature involving a lifelong condition of despair and helplessness. Invoking powers under Article 142 of the constitution, the bench ordered: "While some element of redress has been provided to the appellant by the enhancement of compensation by the NCDRC, the enhancement, in our view, does not take into account the requirements of nursing care, medical help and other attendant requirements of the child for the future. Taking an overall view of the matter, we are of the view that the ends of justice would be served by enhancing the compensation, which has been awarded by the NCDRC, by an amount of Rs.7,00,000 (Rupees Seven Lakhs), which shall carry interest at the rate which has been awarded by the NCDRC."